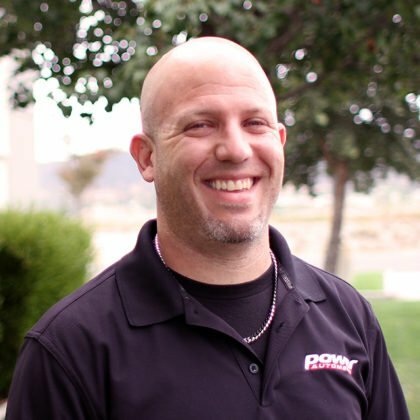 The team at Steve Morris Engines needs no introduction – their horsepower-makers are well known throughout the performance world as some of the most cutting-edge supercharged and turbocharged powerplants in the world. The company put together the killer 3,000 horsepower supercharged big-block Chevrolet engine for Tony Braglio’s Top Sportsman car that we recently featured. Other 3,000 horsepower twin-turbocharged engines, such as the one for Steven Neimentas’ UK-based Bentley and 2013 Hot Rod Drag Week winner Tom Bailey’s Sick Seconds Camaro, have also been built by SME – and those engines provided the foundation for the build featured today. 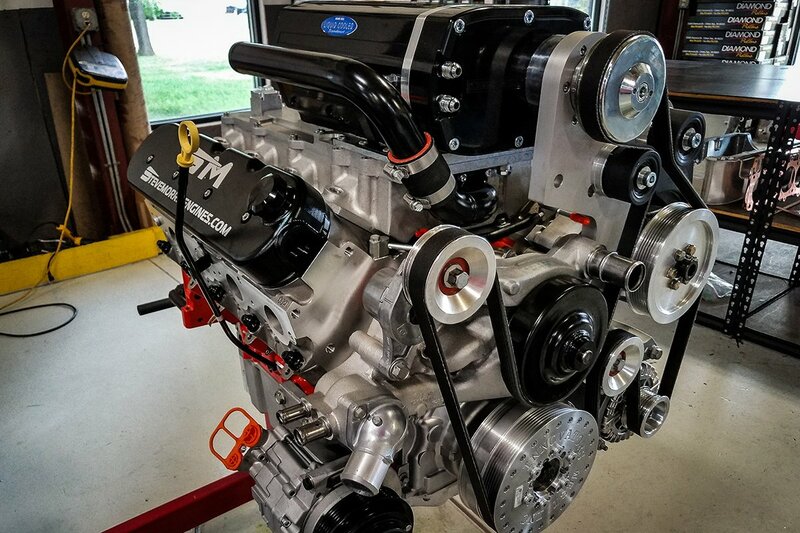 The engine, based around Morris’ proven big-block Chevrolet package, is destined to be used as part of the twin-engine 50-foot Mystic boat owned by Don Webster and Jason Lang of Paramount Trinidad Offshore Racing. 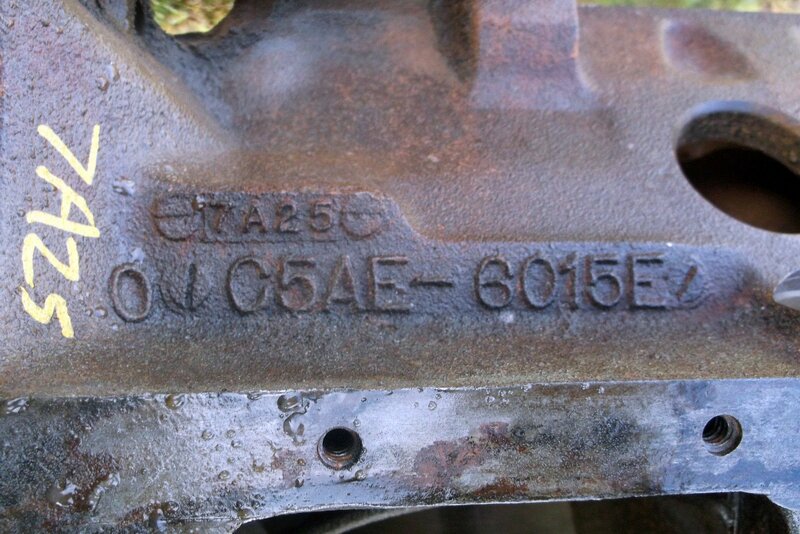 The engine in question was delivered to Morris with broken parts and with a repair in mind. Once the team repaired it and put it on the dyno, it was discovered that the engine didn’t make near the power that was advertised by the previous engine builder. Conversations ensued about how to improve the overall package, and when all was said and done the engine lost its original carburetors and 14:71 superchargers and was delivered with a ProCharger F-3R 130 supercharger – and a boatload of modifications to improve its overall performance. The purple trace and the light green trace represent the engine horsepower and torque in its previous configuration; blue and dark green traces show its performance with the new SME-designed bullet. 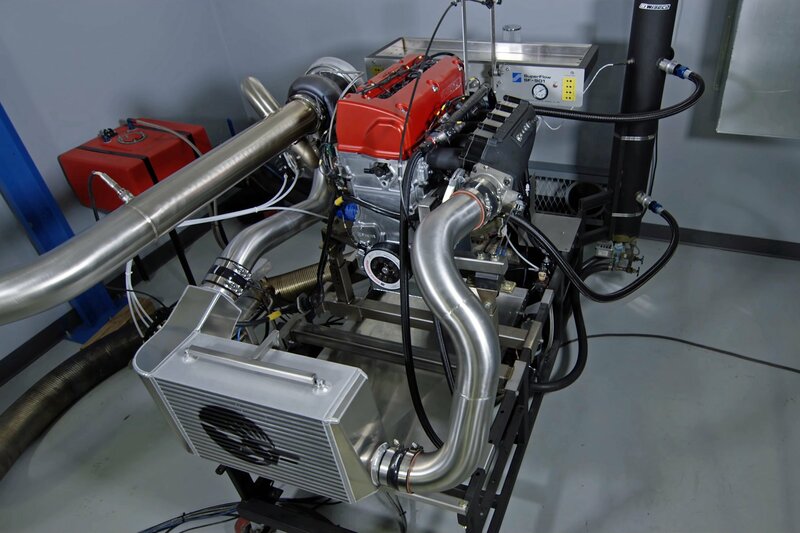 Using a Callies crankshaft and connecting rods, along with a set of Diamond pistons, SME built a 600 cubic-inch base that’s topped off with the aforementioned ProCharger and turns the dyno to a whopping 1,818 horsepower at 6,900 rpm. Running 21 psi of boost pressure, the engine makes a maximum of 1,384 foot pounds of torque and carries 1,300 foot-pounds of torque from 5,600 rpm to the self-imposed 7,000 rpm redline. 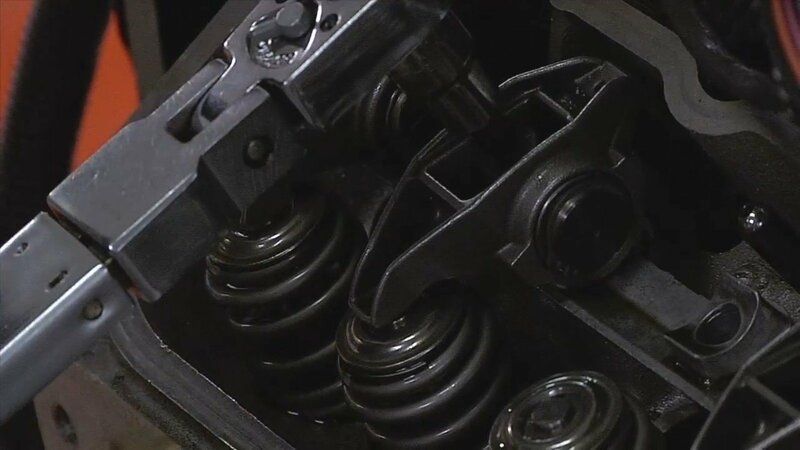 “For any of our marine-style applications, they’ll require some different thought from a camshaft and rotating assembly standpoint, because it’s going to be in and out of the water frequently. There are a different series of loads that are placed on an engine such as this versus a typical drag race application,” says SME’s Alex Esnaola. Those sustained loads place a great deal of stress on internal components, so SME needs to ensure strength and reliability. 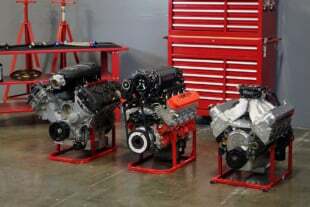 Jesel valvetrain components are used due to their proven performance in the other engines SME builds. Other internals aren’t able to be discussed due to proprietary technology and the need for SME to retain their competitive edge. A custom Steve Morris camshaft actuates the valves that are sucking in 20-plus pounds of boost. “We work with the customer to determine how much power is going to be needed for their goals, and then we tailor everything to operate safely and efficiently within that window. You’re going at it from a different standpoint, because it’s a sustained load for a longer period of time,” Esnaola says. This engine is constructed along the same style as the aforementioned 3,000 horsepower engines, but is dialed back and run at approximately 50-60% capability to ensure performance and reliability. The IC3000 intercooler was selected for its performance capabilities; in conjunction with the existing chiller atop the engine it will help to keep inlet temperatures steady. One of the interesting concepts Morris employed during the construction of this engine was to retain the original roots-style intercooler in conjunction with the new external custom fabricated air-to-water intercooler. Using the sea pump, the water circulates through the chiller, through the larger air-to-water cooler, and back into the tank and out of the boat. “The reason behind running a twin cooler setup was to ensure over a long period of time, that the air temperature stays rock-steady. In the typical drag race application, even with the larger intercooler, you’ll see a 30-50 degree change in that when we’re really leaning on things. With this setup, we wanted to be able to keep the inlet air temperatures free from deviation more than five to ten degrees from the beginning to the end of the run. 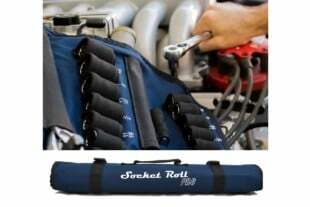 It keeps the tuneup safe and the engine happy,” Esnaola explains. All of the supercharger mounting components and accessory drives have been developed in-house. All custom brackets to drive the supercharger and the engine’s accessories have been developed in-house at SME, and Morris tunes the Holley Dominator EFI system himself to ensure peak performance. “We wanted to make it as painless as possible to drop this in there; drop it in the same hole, most everything fit into the same spot, but be able to make that much more power versus what they had in the past,” says Esnaola. The supercharger has been modified using SME’s ProVolute design to improve its performance, which includes internal modifications to the supercharger’s volute and the addition of an inlet bell on the outside of the supercharger. In their continuous testing, the ProVolute modifications have been proven to reduce inlet air temperatures and increase power on combinations being pushed beyond 20 psi of boost pressure. Perhaps the best part? This engine was developed to run on nothing more expensive than plain old 93 octane pump fuel rather than the race fuel it required previously – so the team can just pull right up to the dock and fill up for a fraction of the old cost. There is also a race fuel tuneup built that will allow the team to turn it up of necessary. This is the first engine of the pair – now that it’s been developed and tuned in, Morris sent the components to complete the second engine down to Trinidad so that engine #2 can be assembled and installed into the boat. 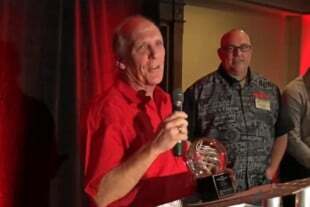 He’ll be making the trip down to Trinidad to sort out the complete combination on the water in its intended operating environment. Rough life, huh?